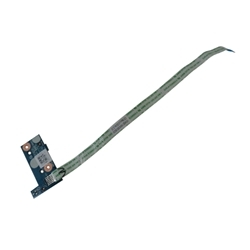 Description: New Acer laptop power button board and cable. Acer Aspire E1-532, E1-532G, E1-532P, E1-532PG, E1-572, E1-572G, E1-572P, E1-572PG, V5-472, V5-472G, V5-472P, V5-472PG. Acer TravelMate P255-M, P255-MG, P255-MP, P255-MPG, P455-M, P455-MG.